I wasn’t planning on reading Everything, Everything in one sitting. I decided to just read a couple chapters to get a taste of the book before continuing on with my day. Soon enough a couple chapters turned into a few, and then those few turned into several. I just did not want to put the book down. Needless to say, I ended up finishing the book that very same day. 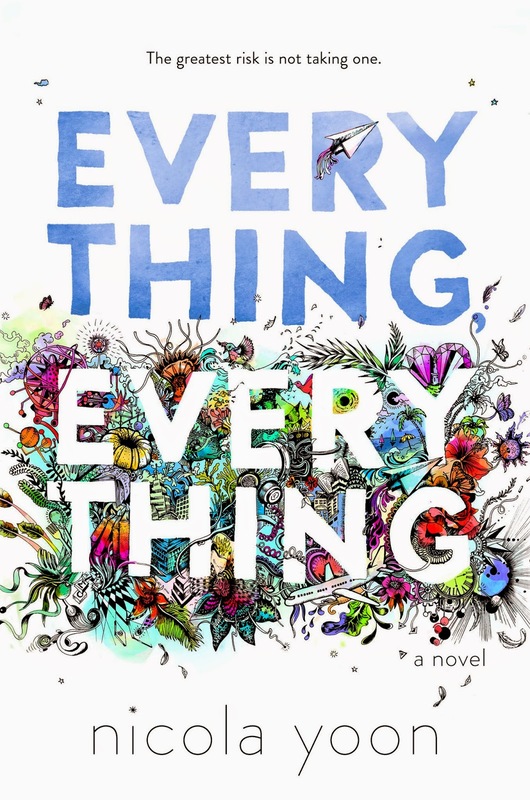 Everything, Everything is an incredible book; I’ve never read anything like it before. Its storyline is so unique. The main character, Maddy, has lived her entire life indoors ever since she was diagnosed with the rare disease, SCID (Severe Combined Immunodeficiency). She’s not allowed to leave her house, and only her mother and nurse are allowed inside with her. Maddy was okay with this life. She understood that if she left, she would die. Why wish for something that could never happen? This all changes when a new family moves in next door. Right away, Maddy is intrigued by this family, especially by the teenage son, Olly, who she catches sight of almost immediately. Soon enough, Maddy and Olly are talking through emails and IMs. As they get to know one another, Maddy realizes that Olly has his own problems—some serious family troubles. Through Olly, Maddy realizes that she isn’t really living her life; she’s just going through the motions. Together, Maddy and Olly learn to grow and are able to provide the strength that the other needs. Their romance is incredibly sweet, but warning, it will take you on an emotional ride. The story unfolds through diary entries, emails, charts, lists, and drawings (which has become my new favorite thing in books). The illustrations made the story very entertaining, charming, and personal. I absolutely loved this aspect of the novel. Overall, I loved the story and enjoyed it very much. I definitely recommend this book, especially to all those looking for a heartwarming read. This is a very strong debut novel, and I’ll be keeping up with this author and all of her future works.